Boo realized it doesn't have any feet and decided it would be complicated to drive. Boo had no problems before right? he has telekinesis. Boo in smash... would you be able to fight while another character is looking at you? Bringing King Boo back in MK8 via DLC would be cool but a Boo/King Boo in Smash wtf? why Oh WHY would you be against boo being in smash bros! seriously!!!!!!!! Because he is a very minor character which has little to no personality, nor characteristics or powers that could be used for moves. Boo is a major character of great importance and all mario related games would be a much less special place without boo. I'm shocked you think Boo has no personality... and as for characteristics or powers, you don't have any imagination, and you have no faith in nintendo's ability to give boo a special place in super smash bros.
No, you're simply being delusional about him and his role in the Mario series. Boos are grunts. They float towards you, except when you look at him. Nothing else. They may have some personality to them in spin-off games like Paper Mario, but so do Goombas. You think Goombas belong in the Smash Roster? You know what Super Smash Bros needs? More Mario characters. You know what matters? What new characters they add to Mario Kart. Adding new characters to fighting games is quite difficult. Every character would effectively need new animations depending on the new attacks. New character models, bug testing, balancing, VA. One character takes months. If Nintendo added everybody's favorite characters, They'd never stop working on Smash. Having a 500-character roster line up just so everyone they can make everyone happy? There must have been so many sad people playing the first versions of Mario Kart and Super Smash Bros.
OH come on! 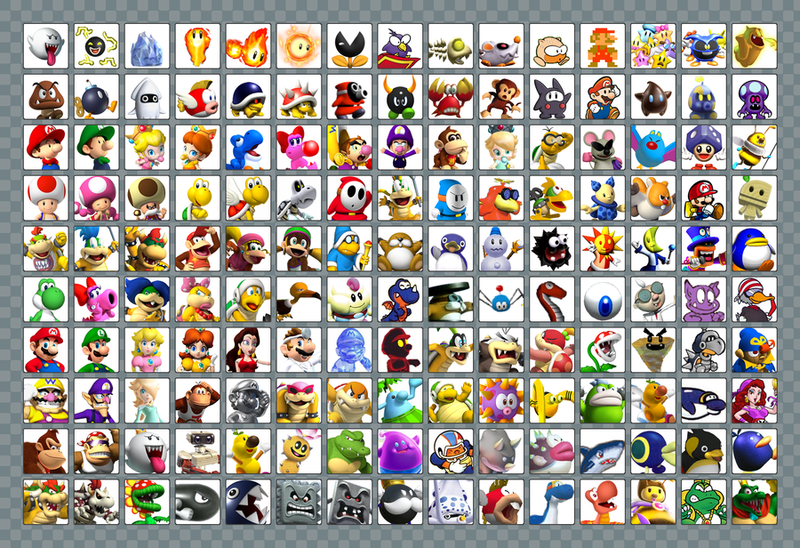 500 characters because they add one more mario character to super smash bros? tell me, why in the world did they make such an effort to add metal mario and pink gold peach and then baby versions of all the characters to mario kart 8? what in the world was the point of that? if they are good enough, why is boo not good enough!? boo was even in the other mario kart game! I'll admit that Boo is an iconic Mario enemy, but nowhere near iconic enough to be playable in Smash Bros. Why does he deserve a place in the roster more than some of the characters already in there? And if Boo was in the roster, then that would open up the possibility of adding enemies and minor characters from other series, such as Octoroks or Goombas. Then all of a sudden you end up with a roster of unnecessary, unfocussed, and probably unbalanced characters. Best to keep the roster like it is, smaller but focussed. Tell me, why in the world did they make such an effort to add metal mario and pink gold peach and then baby versions of all the characters to mario kart 8? You see, the thing is there was no effort put into those clones. tell me, why in the world did they make such an effort to add metal mario and pink gold peach and then baby versions of all the characters to mario kart 8? what in the world was the point of that? To be able to play as the standard Mario characters in different weight classes? if they are good enough, why is boo not good enough!? boo was even in the other mario kart game! What weight class should Boo be in? Does Boo has a weight at all?